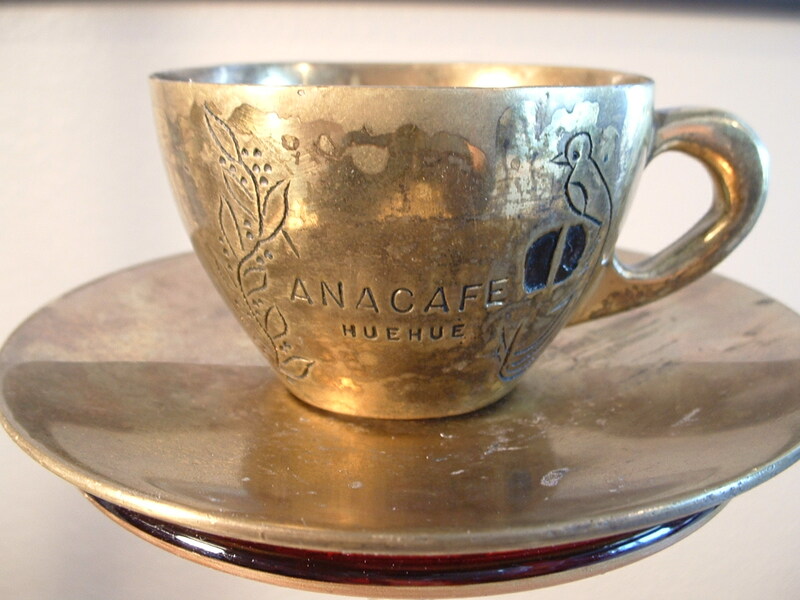 Anacafe recognizes FVH – Best of Huehuetenango 2 years in a row! CLICK ON CUP TO ENLARGE. This was an award given to FVH soon after Anacafe’s inception. It may have even been before the first International Coffee Convention was held in the UN headquarters in NYC in 1962! We’ve all heard the saying that when one door closes another door opens. It seems that sometimes when one door opens, many others open and one is faced with some tough decisions. When someone like our friend Klaus wins the title of World Barista Champion it opens the door to an overwhelming amount of options. The tough part is making not the right choices, but the best ones. The best choice is relative to what one’s long term goals may be. For us at Finca Vista Hermosa although many in our family our visionaries, we have wrestled much with what our goals are. As more doors open it seems sometimes the best choice is to only look through them and stay settled down and focus on continuously improving what we do already recognizing there is ALWAYS room for improvement and hoping that we can connect with the right people who value this. We have received many awards over the last 50 years and have lost track of what some of the awards have been for. So it is on my to do list to document them on this site someday. In 2004 we participated in the Exceptional Cup which was designed to have smaller lots that were.. well – EXCEPTIONAL. This was before CoE was a recognized mechanism for finding good coffees. The winning bidder from Japan wanted to purchase more coffee from us outside of the auction after it ended. He offered a higher than auction price, but we had already exported most of our coffee to the U.S and to Press Alternative who had sent someone from Japan to get to know us before commiting to buying the remainder of our crop. Since then we decided in 2006 to attempt to participate in the CoE and right before the deadline, we were asked to submit the same sample to a small internal panel at Anacafe that bought our lot before the first round of CoE even began. They had already sampled as many as 12 micro lot samples from each of the best farms in the region and none had met the criteria of being both exceptional and characteristic of the region. So what does it mean for ANACAFE to be buying Finca Vista Hermosa coffee? For starters any tradeshow you may attend where they are present, they will give away much coffee from each region, and the Huehue that you get is FVH. So if you love it,… you know where to get more. Or if it did not impress you, you know where to stay away from =) If you go to Anacafe in Guatemala City you can also buy coffees at their front desk and all the Huehue’s are FVH. It is also used for comparative cupping and for demonstrating what is characteristic for a region anytime there is a cupping course or a delegation of growers, buyers, brokers, roasters, traders etc that come through the cupping lab. This is often done to show the variation in profile for each of the regions. This is why it is important for the coffee to not only be exceptional, but for it to be CHARACTERISTIC of the region. Also if you visit Guatemala, after you pass security on the way out of the country, you will see a very nice kiosk on your left where you can request samples and purchase coffees from all regions in whole bean or in a beverage. So this year as our final micro lots of pergamino got picked up off the patios and bagged we began to cup and sort out lots for different destinations and decided if we wanted to enter the CoE we would have to have separate lots set aside that we would not export directly. We have a 40 bag (in parchment, hundred lb weight) go to Su Beneficio for the CoE, and an 80 bag lot directly to Anacafe for their use. Yes, we were selected again this year to represent Huehuetenango to the World. This is probably the greatest award we can imagine ever receiving based on cup quality because it is evaluated and cupped by a panel of humble cuppers that have been exclusively cupping the best of each region in Guatemala for decades. In fact it has been in this process that a few new regions were developed over the last decade. We at Finca Vista Hermosa are extremely excited to received this award a second year in a row. It is not something that will ever get much press or recognition as it is purchased to promote the region of Huehuetenango and Guatemalan coffees, not a specific grower. It is our hope that our coffee can hold up to the reputation that Huehue has developed and that maybe it will continue creating interest for buyers to continue searching, purchasing and appreciating the exceptional coffees that Guatemala has to offer. If you have interest in bidding on this CoE lot, you need to register with CoE and request samples and bid! Congrats! That’s a huge deal! gracias my friend. Would be great to see you in Guate next year. Congrats!!! You (as in you and everyone else who worked on the farm) deserved it! Yes…. as in everyone else. It’s not about me. At all… Carlos is the man and he’s kept a very happy crew in a time where it’s becoming a crisis where growers are having a tough time finding and keeping good people in Guate. First of all, we are all really excited for you here in boston. That is such an amazing thing to be recognized by your countrymen as most exemplary of your region. You must be incredibly proud. Second, I wish they made more awards like that little demitasse, it’s beautiful. Ben we are extremely proud. I had a few seniors in the administration at Anacafe look at it and they said they had heard of these, but the demitasse was before their time. One even took a pic and then also scanned it to email the photos to one of the founders of Anacafe to dig up more info on it. The unconfirmed consensus was that the award was originally on a wooden stand and it was awarded by an agronomist at the time at Anacafe. For the moment any more than this is speculation. We sure had a great time speculating though. Characteristic for the region is as you mentioned important to Anacafe because there are so many factors that impact the cup and many of these have changed over time. In Guatemala there have been great processes in place for some time and dips in the commodity market have been cause for short cuts which take many years to recouperate from. Point being that roasters who have been around for 20+ years have a greater appreciation for Huehues 20 years ago. They were more cared for. As well as Antiguas 20 years ago before they were diluted. Even today’s Genuines aren’t what they used to be on average.